During Maths this week we have been learning all about shapes. 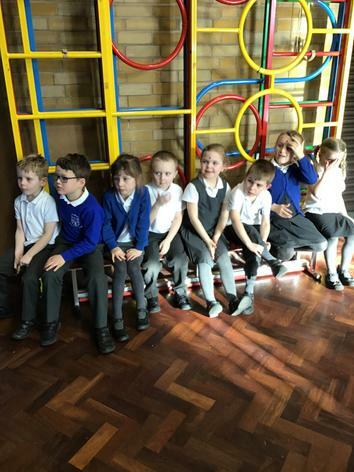 On Thursday we had a 'shape search' in our classroom. We tried to look for which 3D objects had the base of a rectangle, a square or a circle. Miss Faulconbridge taught us how to tally chart so we had a go at recording our answers like this. It was so much fun! During Science we had lots of fun looking at a range of different types of animals. On Tuesday, we looked closely at fish to observe its key features. We thought that their scales felt very wet but smooth. 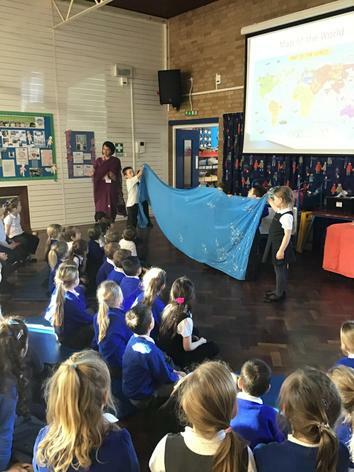 During our RE week, year 1 were lucky enough to have a special visitor. 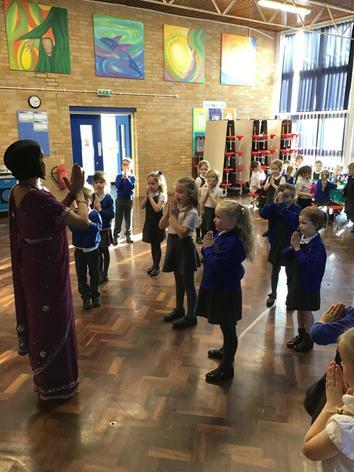 Mrs Street came to teach us all about Hinduism. 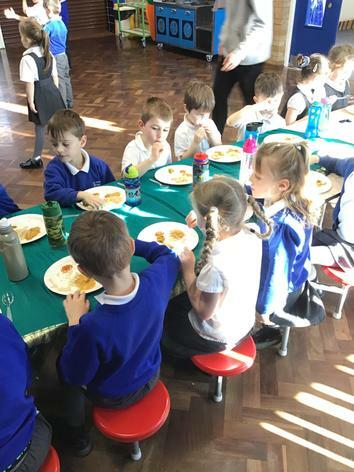 We got to try some yummy foods including curry, naan bread, poppadoms and some Indian sweets. 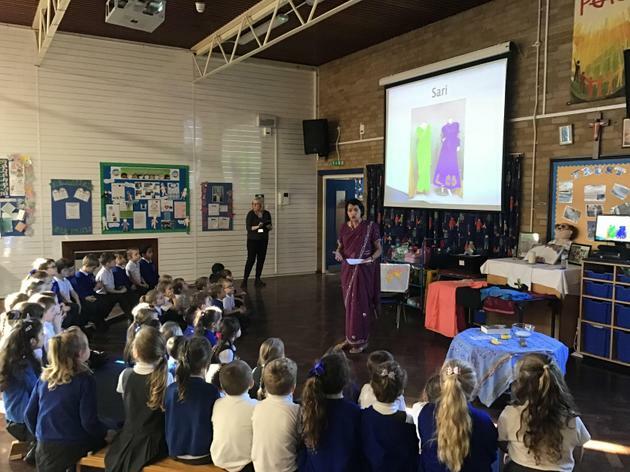 The poppadoms were definitely our favourite! We also took part in some dancing. It was so much fun!